As a child, I hated weeding. It is still not my favourite occupation in any garden. As a Taurean, it is true to my nature to love Nature and the Earth; no better way for a geologist on permanent “gardening leave”. I do love the feel of soil in my fingers and the smell of newly-turned ground. It is also my nature to be practical, so finding planting schemes that minimise weeding is also important. Over the years, I have created and maintained a number of gardens, in very different environments and conditions. 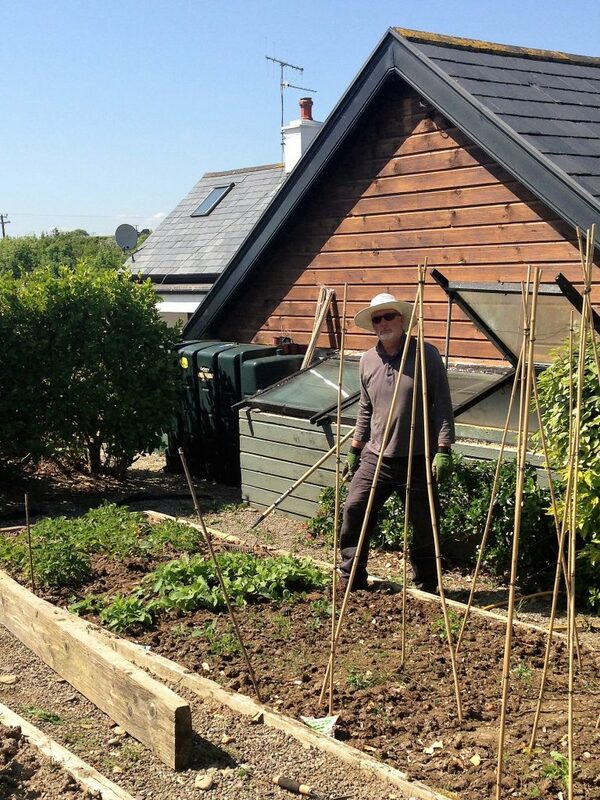 I am basically a self-taught, instinctive gardener, building on experience and advice, mostly with new-build properties that started from builder’s rubble. My first garden was in my first house on the west coast of Norway. Here, longer cold winters and highly-acidic water-saturated soils made planting schemes limited. Plants and shrubs had to survive up to 3 months in frozen ground. My second garden was constructed around a new-build in the dry, chalky soils of North Kent in England; as dramatic a contrast to Norway as one can get. Garden number three was in the sands of Dubai. With the sand having no natural nutrients, any planting has to be supported by regular feeding. It also has to be tolerant of both the harsh sunshine and a brackish water table just below the surface. Plants usually flowered in the cooler winters. 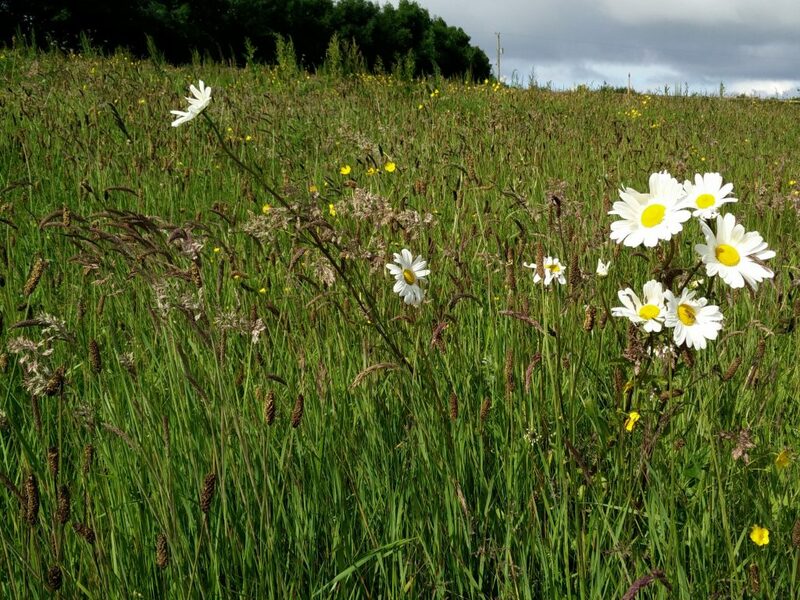 My fourth garden was a wild windswept patch of Scottish hilltop surrounding a steading; often enveloped in hill fog and isolated by snow drifts in winter. The fifth garden was the first to be inherited, situated in Geneva on the edge of the alps. For once, a neutral soil, but a mixture of dry and warm summer conditions, with cold wet winters, where the grounds can also freeze. My final garden is the one we inherited at Ballynoe House in West Cork; a five-acre plot with a mixture of garden microclimates and planting. The Ballynoe House property consisted of meadows, woodland, an orchard, vegetable patch, a pond and formal gardens; deep patches of fertile soil mixed with gravel gardens. The challenge has not been only the size, but the variety of planting. The microclimates depend on the combinations of shelter from the prevailing winds (directly from the beach at Red Strand), sunny or sheltered aspect, and the degree of drainage across the property, which slopes slightly in a northern direction. The lowest side of the property can be quite wet after rains as it is much closer to the water table in the bottom of the valley leading to Sandscove. The previous owner took most of the large sets of pots clustered around the garden, which provided plenty of new spaces for planting. 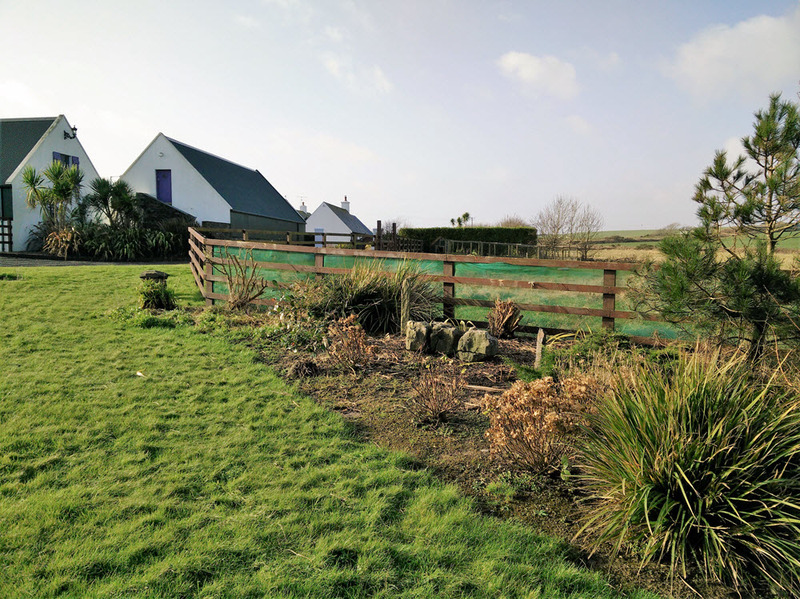 Much of the garden was tightly planted which generated plenty of free plants for relocation. The mild coastal environment ensures something is usually in flower all-year around. The garden does not really stop growing out of season. The lawns and meadows do take a break between December & February. 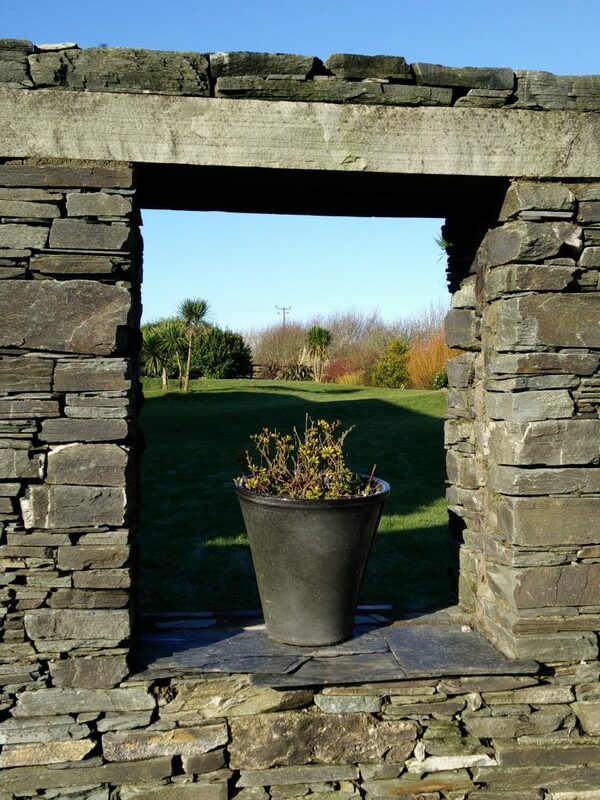 It is true that Spring comes early to West Cork, with daffodils typically in flower by mid-January. 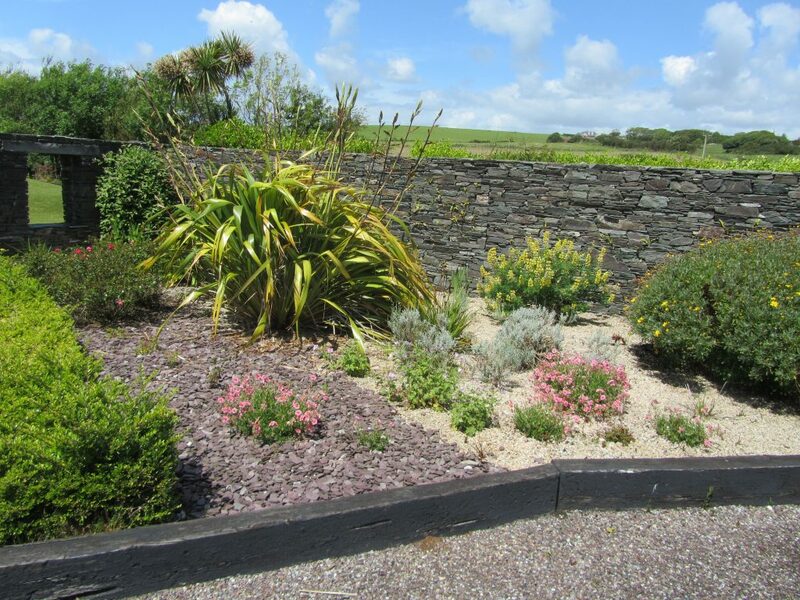 The mild environment provides ideal growing conditions, supporting the many formal gardens that can be viewing on the West Cork Garden Trail. Trees, once established, grow quickly, but they must be well staked or robust against high, often salt-laden, winds. The generally wet conditions ensure species from New Zealand do particularly well. While the climate is conducive to plant growth, it is also detrimental to the wrong type of metal fixtures and even pressure-treated timber. Ranch fencing and decking does not last for long, rotting from the ground up or being eaten from the inside out. The boundaries, both planted and not, have benefitted from the abundance of willow on the property; six varieties including weeping, goat, corkscrew, green, red, and violet. 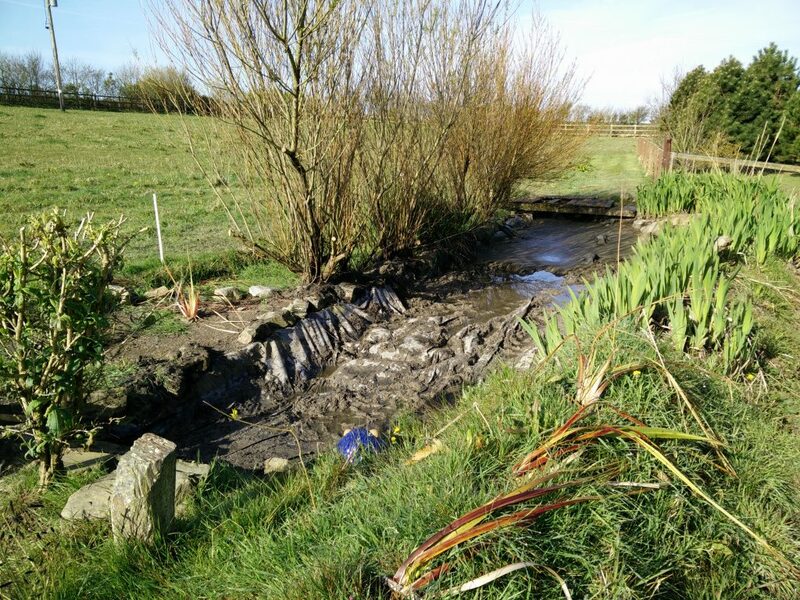 Pollarded branches regularly root naturally, which has enabled hundreds of additional trees to be added to the prevailing side of the property and provide a new colourful boundary to the Lower Meadow. With a better than 80% success on first time rooting, there is no shortage of replacements if they fail; an exercise that can be done almost all-year round, when the ground is wet. The violet willow is particularly attractive in the late winter with its silvery buds. 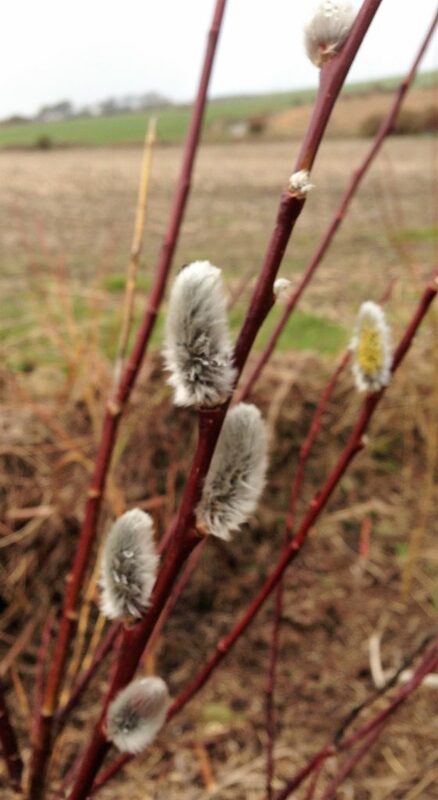 The red willow also provides winter stem colour. Both of these varieties are less vigorous and decoratively more interesting than the natural green willows, which keep shooting however hard they are cut back. The first two years at Ballynoe House were spent sorting through the garden, developing a series of areas that can be sustainably managed by one person. In developing the woodland walk around the property boundary several areas of bramble thickets had to be controlled. Two of these areas were found to have swamped small plantations of oaks. These have now been upgraded and rehabilitated. A corner of the main garden was ostensibly red dogwood and bindweed, which had started to encroach upon the lawn. 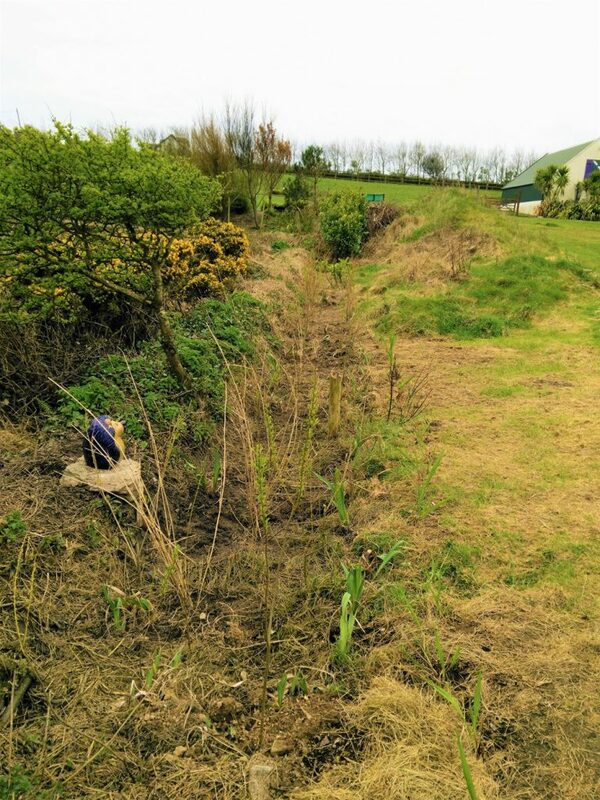 After cutting back the dogwood for 4-5 metres to the original planting a whole garden of shrubs and plants was found underneath, most of which have survived after a year or more in clear air. The was another discovery in the front garden beneath an area overrun with the boughs of tree lupins. I should be constantly busy for many years to come.